What’s new in Yellowfin 6.1? Multilingual displays! We all know that a significant shift is occurring in the Business intelligence (BI) landscape. Traditional IT-centric BI technologies and implementation methodologies are reaching the end of their useful life and are being replaced by business-user-oriented software and philosophies. Check out the details in our blog post Rethinking Business Intelligence. New consumer-oriented approaches to BI are, among other things, focused on delivering highly consumable reporting and analytics to a wider business community. The idea is to empower non-technical users to make better, faster fact-based decisions by utilizing corporate data. And, if you’ve embraced this new generation of widespread, cross-departmental BI, then chances are – in this age of globalization and international brands – you’ve got many users logging in from many different geographies. Has the language barrier ever proven a problem in these multinational deployments – where reports written in English, for example, are sent to a non-English speaking audience? Well, Yellowfin 6.1 has the answer! New multilingual displays allow users logging in from different geographies to read reports in different languages. Yellowfin, they will automatically view both the User Interface and translated reports in their selected language. This feature enables the same reports, within a single instance of Yellowfin, to be viewed in multiple languages depending on user preferences. Imagine the time your BI team will save! Now you can generate better insights, and respond to business demands faster, instead of wasting valuable resources duplicating existing reports for different readerships. And, just think how much easier it will be for your users to glean actionable business insights from your reports when consumed in their native language! 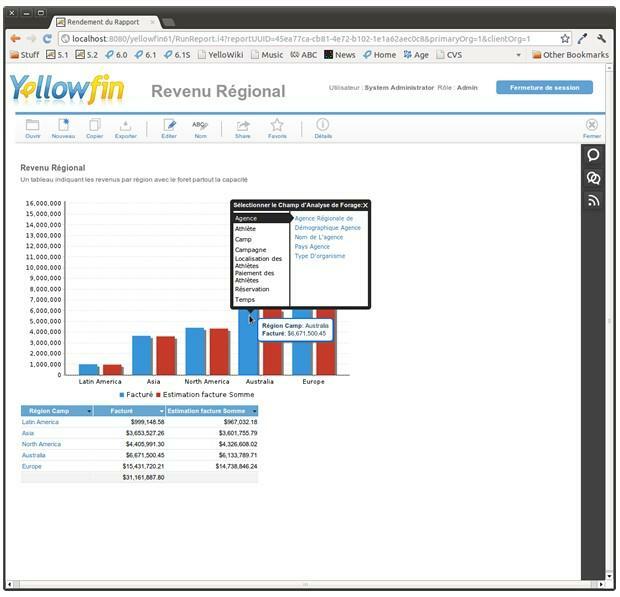 Yellowfin 6.1: Making Business Intelligence easy in any language!